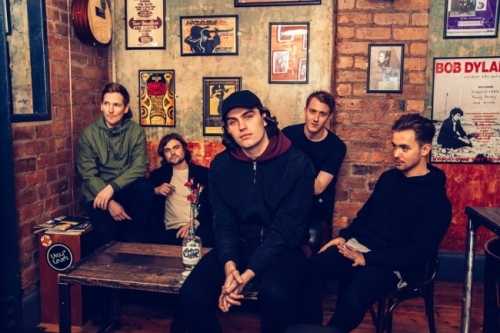 Liverpudlian five-piece Paris Youth Foundation kick start their 2019 with this glorious indie rock offering. Produced by Rich Turvey (Blossoms, Clean Cut Kid) at Parr Street Studios and mixed by Cenzo Townshend (Everything Everything, Maccabees, Magic Gang, Editors), Look What You Started opens with an almost ‘80s-esque synth percussion intro before building into a anthemic stadium rock filler reminiscent of Kings of Leon. Released today (8 February) and taken from their forthcoming EP The Nights Are For Thinking About You, this Sunday, the track will receive its first radio play on Huw Stephens’ BBC Music Introducing show on Radio 1 with spins by Maz at Radio X to follow soon afterwards. Having performed at Reading and Leeds festival, The Great Escape and Liverpool Sound City, as well as playing tours with The Magic Gang, The Sherlocks and INHEAVEN, the band will head out on tour supporting The Vistas this May. But before then, just hit play and let this little indie banger sink in, you won't be disappointed.